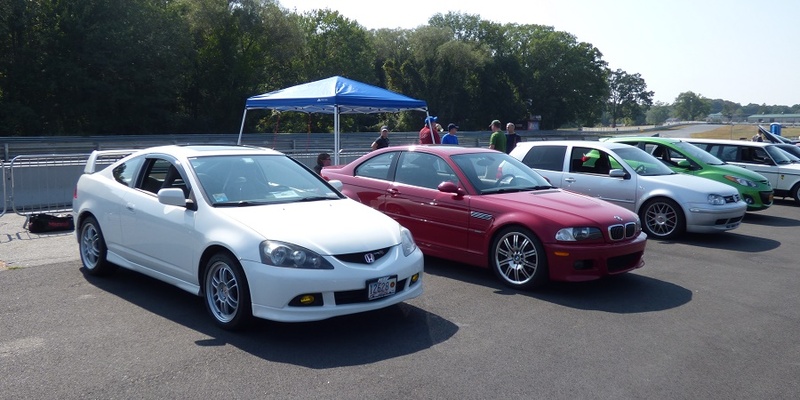 The days are getting shorter, but that didn’t stop Track Night In America from adding two events at Thompson Speedway in September, thanks to their immense popularity in New England. I’ve raved about Track Night before, so I’ll cut to the chase and tell you about the cool stuff that happened this time around. One of my favorite parts of Track Night is looking at the wide variety of cars that show up. 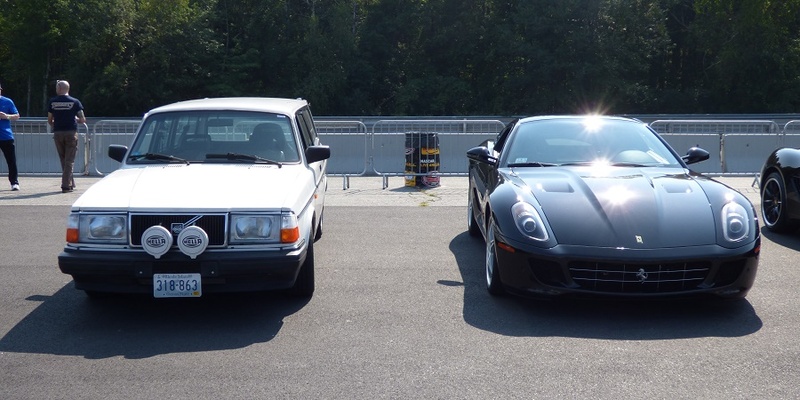 Nothing exemplifies this better than this photo – a Ferrari 599 parked next to a Volvo 240 wagon. This really is the track event for everyone. 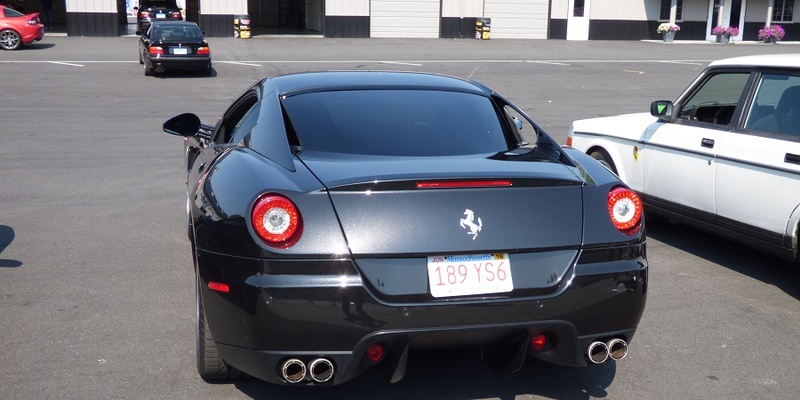 If you have the means to own a Ferrari, you can stretch its legs and enjoy its full performance capabilities without going to jail. If you have a Volvo 240 wagon, you can bring it out and have a great time driving a slow car fast – this one doesn’t even have a turbo – and enjoy the challenge of getting as much speed as you can out of it. As usual, there was a swarm of Miatas buzzing around. But there was one in particular that I spent a lot of time with throughout the event. 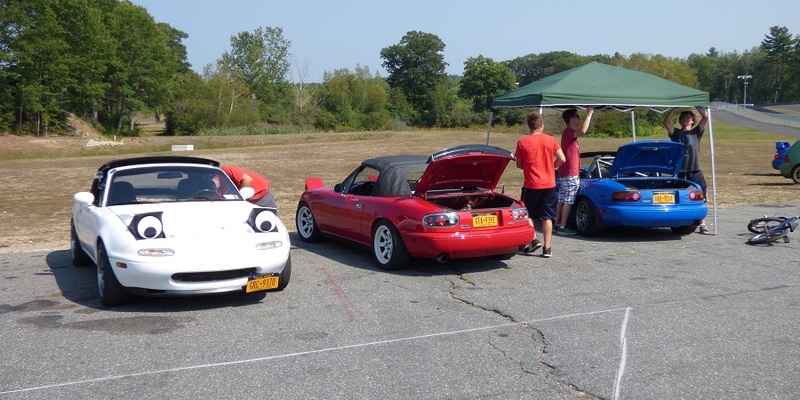 I caught up to an unassuming black NA with a red hardtop in slower traffic during the first track session for the combined Intermediate/Advanced run group. Once we both got pointed by and had a clear track, he took off, and I had a challenging time keeping up. I was also relearning the track, since I haven’t driven it in a couple of months and Palmer was still stuck in my head. 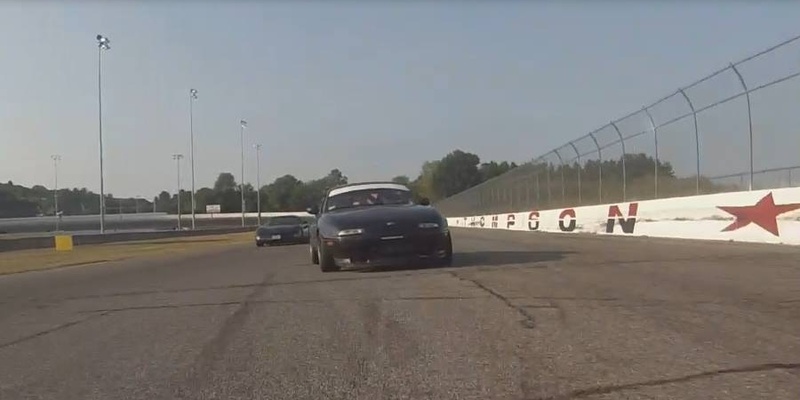 But I got into the groove about halfway through the session, stuck to the Miata, and eventually got a point-by. He stayed pretty close to me for the rest of the session, but I wasn’t holding him up, either. Afterward I saw the Miata parked just a few cars over from me, so I walked over to chat with him a bit. He introduced himself as Cris, and he enjoyed the chase as much as I did, since it’s always more fun when you have evenly matched cars. 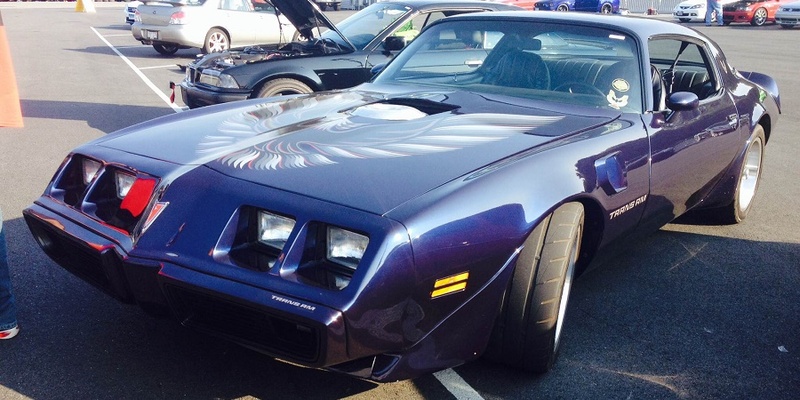 A look under the hood showed me that we were more evenly matched than I suspected, thanks to a Jackson Racing supercharger. The motor was from a 1999 car, adding even more power. 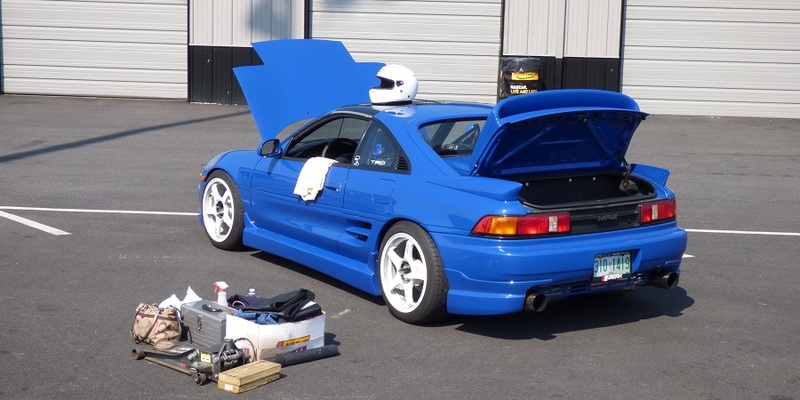 This was a dedicated track car, with a roll bar, racing seat and harnesses, and other modifications. This was Cris’ first time at Thompson, which explains some of the odd lines he took in the first session and how I managed to pass him. I told him that this car should be faster than my BRZ. I wonder if he took that as a challenge. I was the second car out for my second session, so I had a fairly clear track for a while. I fully expected to point by the C5 Corvette behind me on the first lap, but he actually fell behind and I never held him up. After a few laps, I saw a familiar looking Miata in my mirror. He had caught up to me in slower traffic, but once we got clear it was obvious that Cris was learning the track a lot better. I kept enough distance on him for several laps to not hold him up at all, and it was fun playing with him, this time with me in the lead. But you don’t have to take my word for it. We went along like this for most of the session, passing slower cars and always keeping that Corvette at bay. For the first time I was running with traction and stability control all the way off, and I got a little bit sideways accelerating too hard out of the slowest corner on the track in second gear. I caught it easily, but I didn’t want to be running this hard with Cris right behind me – and he was sticking to me like glue at this point. I pointed him by at the next passing zone. He started pulling away from me, but pitted in a couple of laps later. His car was starting to overheat win the 90 degree temperatures (and I thought a September event would mean cooler weather), so he called it quits before doing any harm. Cris wasn’t the only one the heat was getting to. I soon found myself behind a new WRX, and found myself curious whether my handling advantage would overcome his power advantage. I got pointed by fairly quickly, but talking with Joseph, the driver, afterward, I learned that his WRX had a CVT transmission slowing him down, and that he was losing a lot of power due to the heat. We share the same basic FA20 motor, and I know that my BRZ loses power when the oil gets too hot, so this didn’t surprise me. The WRX’s turbo generates even more heat than my car, which causes even more power to disappear. So I’m not going to claim that my BRZ is faster than a WRX on the track. We had a long wait until the final session of the day. 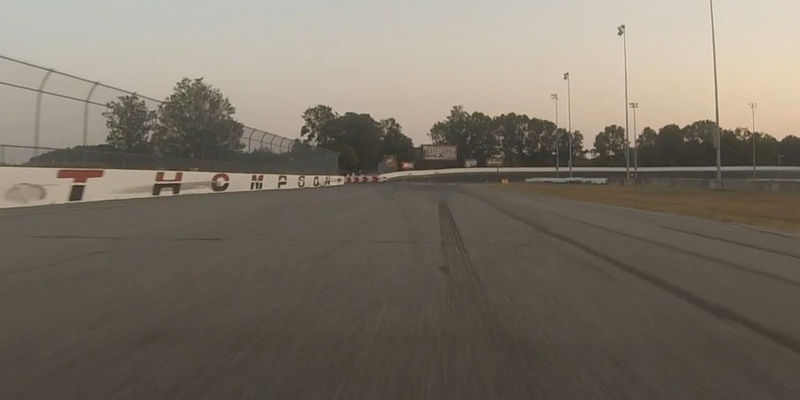 They changed the run group order to give the two Novice run groups as much daylight as possible, leaving the more experienced drivers to run in the reduced light conditions. It seems that many people didn’t want to wait around for the last session at 7:20pm, because when I took to the track with my headlights on, I had a clear track for almost the entire session. I caught up to Cris again just as he was pitting in after his first lap, and I think I was behind one slower car for maybe half a lap before getting a point-by and a clear track again. It was wonderful. I didn’t push too hard, because I could feel a little brain fade despite drinking every ounce of water I’d brought with me. But I put down good consistent laps, and never once got sideways. It didn’t quite get dark enough for me to rely on my headlights to see where I was going, but I appreciated having no sun glare no matter which way the car was pointed, and both the car and I enjoyed the cooler temperatures. I found myself packing up in the dark, especially after helping Cris load his Miata onto his U-Haul trailer. It was a good time, as always. 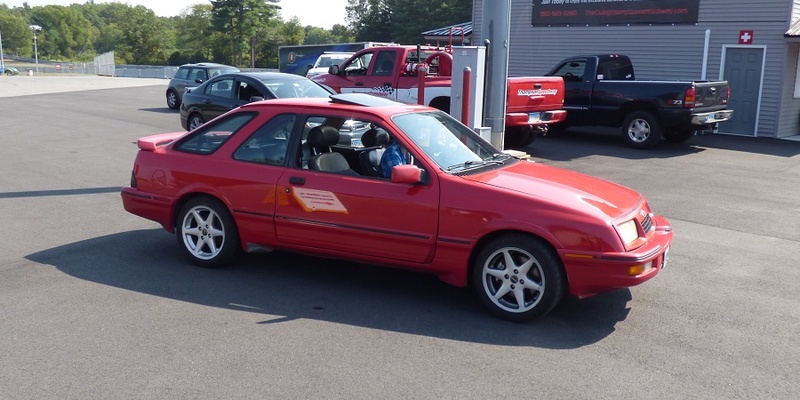 There is one last Track Night running at Thompson Speedway on September 16 (one hour earlier than usual, to avoid the waning daylight issue), but I’ll be skipping it because that’s just two days before Black River Stages, where I’ll be driving a course vehicle for the rally. More on that later!